A very geometric hairstyle, with a thick, straight fringe accentuated with beautiful pale blue highlights, inspired by the blue poppies from the Himalaya. The hair has been layered over its entire length. The hair color was created using Platinium Plus for beautiful, conditioned highlights and Luocolor for translucent, glossy color. The highlights were worked over with Texture Expert Fixing Mist 4, for a natural-looking, satin shine. Cherub-like curls are embellished with an amber shade inspired by that of an orchid. The hair color was created using Platinium Plus for beautiful conditioned highlights and Luocolor for translucent, glossy color. The curls were set in place with Play Ball Creamy Smooth for defined curls and a natural and very cosmetic finish. The fringe was kept long to create an air of mystery. Intense violet highlights inspired by the tones of a black tulip add unexpected drama. The hair color was created using Luocolor. To tame this short, thick hair, Tecni.art Liss Control was applied to the entire head of hair. 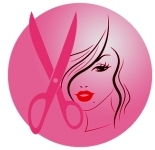 The bob and long fringe are swept forward emphasizing the plunging aspect of the cut. An intense blue that draws its inspiration from the rare beauty of the delphinium illuminates her dark base. The hair color was created using a bespoke blend of Majirel shades. The movement in the hair is created using Tecni.art Fix Anti-Frizz. A crown-like chignon strewn with green highlights. 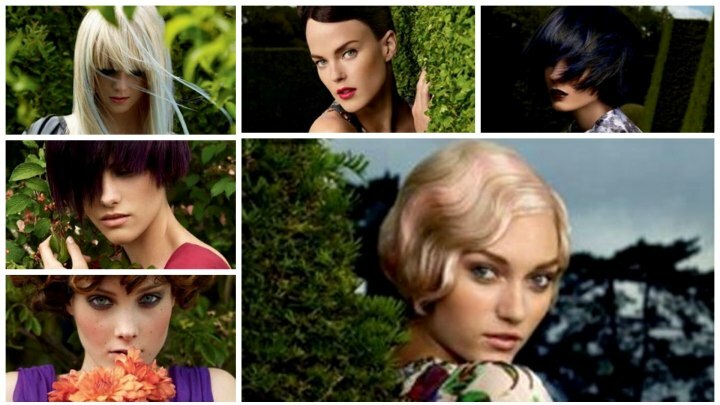 This green, with is natural-looking tone, is inspired by the hellebore and works to bring interest to the hair. 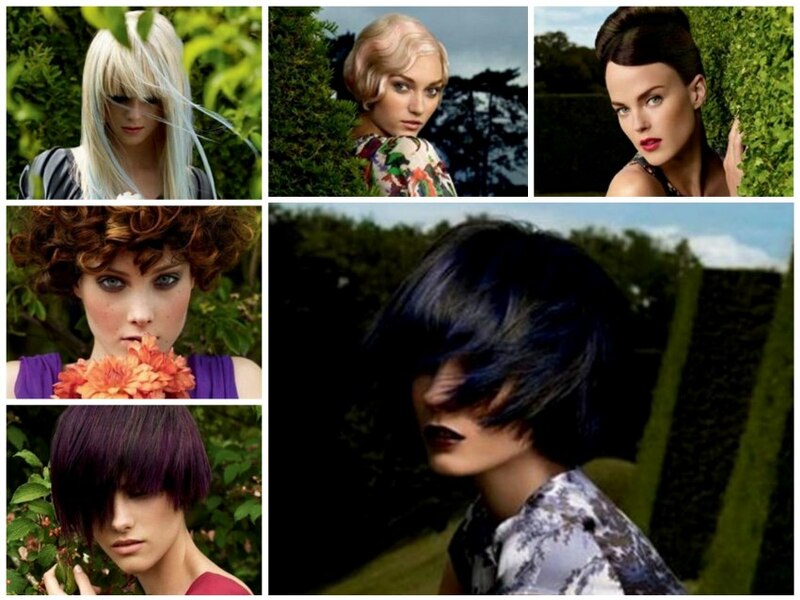 The hair color was created using a bespoke blend of Majirel shades. For better definition of the cut, the hairstylist used Play Ball Wax Smoothie spray. The hairstyle is a sophisticated 1930s style chignon. A parting on the side with wavy pink highlights inspired by the soft tones of a rose embrace the shape of the face. The beautiful blonde and bespoke pink were created using Platinium Plus to lighten the hair whilst maintaining its condition, and Majirel for sophisticated permanent color. The style was created using Texture Expert Lumicontrôle to obtain this smooth finish and pearly shine.